QwikLeaf, LLC is a technology company bringing click-and-collect automation to the cannabis industry. We have developed the world’s first click-and-collect cannabis platform, the QwikCollect Platform. Our growth and value come by bringing a needed segment (click-and-collect) to the cannabis market. We have strategized to profit from the success of cannabis retail stores increased sales and decrease in employee overhead from using our platform. Join in on the opportunity to legally profit from cannabis stores across the United States. Become part of revolutionizing cannabis sales! In the cannabis retail market, product delivery time is important to both customer and retailer. Cannabis store owners are forced to add additional employees to handle high demand sales periods. The biggest bottleneck on both the consumer and retailer-end of cannabis sales is the process of exchanging money for the product. Wait time and long lines inside of cannabis stores result in lost customers and decreased sales for business owners. The number of products a cannabis merchant can logistically sell is constricted by the number of registers, staff available, and the speed in which they operate. Customers expect to be able to choose a check-out option that suits them best. Cannabis retail stores leave it nearly impossible to predict the amount of time required to get in and out with a purchase. Cannabis consumers want access to cannabis products as fast as possible. Cannabis retailers do not have the technological infrastructure to sell and dispense products efficiently to their customers. QwikLeaf LLC solves the problems faced by cannabis retail store business owners and consumers while remaining unaffected by ever-changing cannabis laws. We are a non-plant touching company that provides hardware and software solutions to plant-touching businesses. We have developed the first click-and-collect platform for cannabis sales. Using our custom hardware and software the QwikCollect platform provides cannabis retailers with faster sales times, safer transactions, and increased sales. The QwikCollect Platform is the first click-and-collect cannabis platform in the world. QwikCollect allows consumers to order online and pick-up their cannabis products at a dedicated locker or cube. The platform gives dispensary owners easier entry into the online space since it has more favorable economics than delivery. Our platform gives customers access to the products they want with little to no wait time. Customers can order online at home, and wait for notification of when their order is ready. QwikLeaf is pioneering this new format and developing tailored solutions for dispensary owners to win in click and collect. As more cannabis retail stores open across the country, we are prepared to provide the technological infrastructure to add benefits of click-and-collect to each and every cannabis retail location possible. We have custom manufacturing designs of the world's first click-and-collect cannabis hardware. We have identified key opportunities to sell our platform to functioning and startup cannabis businesses. We have formed an agreement with one of Michigan's largest legal retail cannabis stores to purchase and use our platform in their chain of expanding cannabis retail stores. We are currently exploring options for entry into global markets including Canada and Europe. We are positioned to partner with many established cannabis tailored e-commerce, loyalty rewards, point-of-sale, and seed-to-sale software companies. The possibilities for implementing additional features to our platform only adds to our value and growth as a technology company in the cannabis sector. Lastly, we are building a team of industry experts to help navigate our company to the best exit strategy possible. We have an anticipation to secure additional rounds of financing for growth with eventual maneuvering to an IPO or mini IPO. To date, cannabis has yet to gain mainstream adoption. The last barrier to mass market adoption will be removed when cannabis is recreationally legalized across all 50 states. Currently, 33 U.S. states have legalized cannabis to varying degrees. In the United States, over 24 million, or 9.9 percent of adults age 18-plus consume cannabis regularly, and 115 million (48.2 percent) report consuming it in their lifetimes. There were 2.4 million U.S. medical marijuana patients in 2018, up 71 percent from 2014. 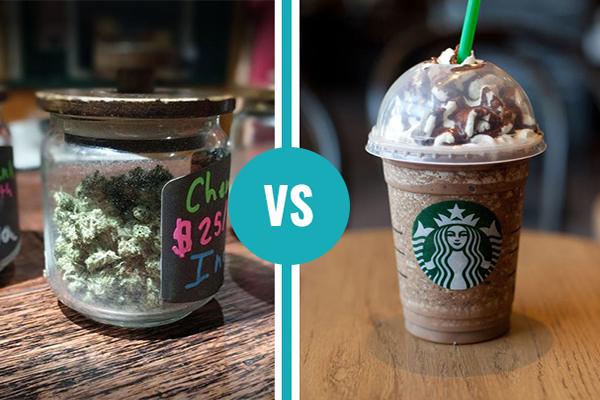 In many states cannabis stores are starting to outpace coffee and fast-food, for instance in Denver, there are more cannabis retail stores then McDonald’s, Burger King and Starbucks combined. The state of California currently has 358 licensed recreational marijuana stores with many more opening every month. Large retailers like Target, Walmart, Kroger and Home Depot are using store pickup to lower costs, interact with customers, and drive growth. Using stores to fulfill e-commerce orders lets retailers increase their supply chain speed to their businesses. Statistics show that 70% of U.S. shoppers have used some form of click-and-collect options when given the option in 2018. Retailers are quickly adding purchase online, pick-up in-store technology. In 2018, Target launched its curbside pick-up service to 200 stores throughout the Midwest and the South. Walmart said it will expand in-store pickup options to 2,200 stores by 2019. Old Navy is counting on purchase online pick-up in-store technology to boost sales of its apparel along with fashion giant Zara which also has started implementing its own version of the technology. Around the world click-and-collect technology is gaining traction fast within many brick-and-mortar stores. Large retailers are learning fast that it’s in their best interest to partner with a click-and-collect platform provider. The cannabis industry is very unique, any new technology involving cannabis requires specific features and abilities to achieve usability, compliance, and acceptance within the market. e-commerce, point-of-sale, and inventory management software and hardware companies have all existed successfully for over a decade. 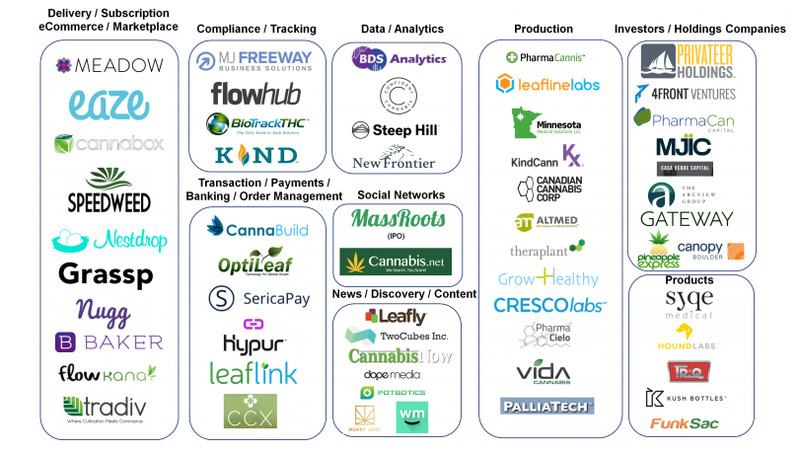 With the legalization of cannabis sales has come a rush of successful start-up companies within these market segments. Few companies with relevant technology to the cannabis industry have decided to enter due to the risk in a conflict of interest with their current operating clients, partnerships, certifications, and contractual obligations. Large corporations and businesses have yet to understand how best to integrate their products without facing financial pull-back on their existing ones. Our primary competition are larger click-and-collect technology companies with access to capital for research and development into the cannabis industry. We have plans to reduce the risk associated with potential competition by entering the market first and securing contracts with cannabis business owners and corporate chains. Many companies in the click-and-collect industry and other technology segments are waiting for cannabis to become federally legal before investing resources and capital. We feel by entering the market first and evolving our products and software around the industry will give us a competitive edge in securing market share. Currently, there are no click-and-collect competitors in the cannabis industry. Current competition has still yet to cross into the cannabis market leaving the opportunity for first-mover advantage. Profits from QwikLeaf are generated from the sale of our custom software and hardware platform known as the QwikCollect Platform. Revenue generation from the sale of the QwikCollect platform breaks down as follows below. Monthly / Yearly Software Licensing Fees. Business owners will be charged for their use of our custom developed QwikCloud software application. Subscriptions will include yearly discounts. QwikCollect Hardware. Our custom designed click-and-collect hardware will be sold to cannabis business owners. We currently have three products that will enter the cannabis market: The QwikCube, QwikLocker, and QwikKiosk. Strategic partnerships with e-commerce, loyalty rewards, point-of-sale, inventory management, and many other technology sector leaders will allow us to gain value and add additional revenue to our business model. Neil Biafore is QwikLeaf’s founder and Chief Executive Officer. 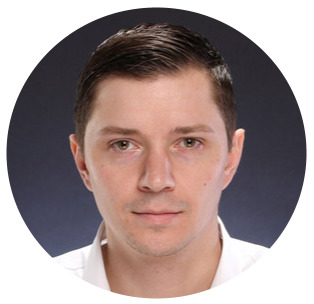 As head of the company, Neil is responsible for all of the company’s sales and operations, including end-to-end management of QwikLeaf's software development, manufacturing activities, and service and support in all markets. Prior to founding QwikLeaf, Neil was a Digital Media Specialist for Tweddle Group Inc. and was responsible for instructing software engineers, product development teams, and external (Big Three, automobile manufacturers) companies to produce some of the world’s first in-vehicle touchscreen manuals, guides, and other helpful vehicle resource information. 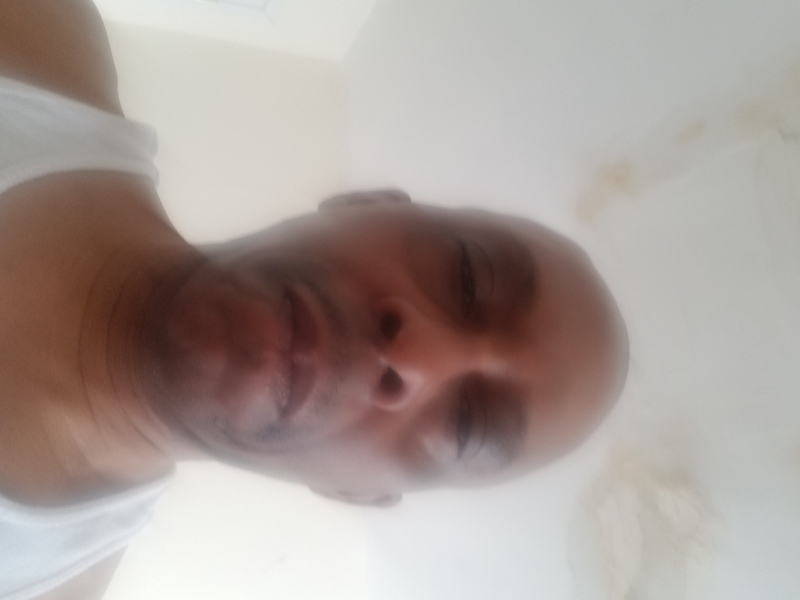 Previous to his work as a Digital Media Specialist, Neil was a Lead Technical Author, writing removal and installation manuals for Nissan Automotive mechanics on newly produced vehicles. Specializing in electrical components and materializing raw disassembly procedures into structured readable content. Neil has a vast knowledge and exposure to Tier 1 supply-chain development, from working on prototype vehicle schedules to visiting production plants for quality and accuracy. Neil is currently assisted by an expanding team of experienced professionals trained in engineering, software development, finance management, and the cannabis industry. Progress and development at QwikLeaf is moving extremely fast and going great. QwikLeaf is close to finalizing our integration with Metrc. Approval for use of the QwikCloud software in the state of Michigan for cannabis sales is near completion. To view the QwikCloud Beta Platform visit https://qwikcloud.io/ and sign up. QwikLeaf has started the process of having the first QwikCube, QwikLocker, and QwikKiosk manufactured. With a prototype of the QwikCollect Platform hardware, we will begin testing with the QwikCloud. The Beta version of the QwikCloud has been released at https://qwikcloud.io. Investors and those interested can register at the QwikLeaf homepage https://qwikleaf.com/beta-program. The QwikCloud features a full enterprise relationship management back-end. Beta users are able to use the point-of-sale terminal and e-commerce functionality. Development of additional features will be released in the coming weeks as they are finished. Once you've been approved, log into https://qwikcloud.io and click on Sign in to view the latest version, report bugs and more. For more information about each of the releases visit the QwikLeaf Beta homepage. QwikLeaf has been approved by the Michigan Department of Licensing and Regulatory Affairs to integrate with Metrc. Developed by Franwell, Metrc is a turnkey solution which provides end to end tracking and tracing of marijuana plants and products. This solution was specifically designed for government agencies in charge of legalized marijuana enforcement. The software is currently being used by government enforcement agencies in the following states: Alaska, California, Colorado, CO Industrial Hemp, D.C., Louisiana, Maryland, Massachusetts, Michigan, Montana, Nevada, Ohio, Oregon. Metrc was built by regulators for oversight and will provide QwikLeaf the necessary visibility for adherence to rules, regulations and statues. QwikLeaf is currently in the final validation steps with Metrc, specifically in the validation of cannabis: Packages, Patients, Labs, Transfers, Admin, Strains, Items, and Locations. Integrating Metrc with QwikLeaf’s QwikCloud software application will allow for legal sales of cannabis products to customers using the QwikCollect Platform. Development of the QwikCloud application is moving fast. QwikLeaf will be launching a beta version of the QwikCloud application on Friday, March 22nd, 2019. Current and potential investors will be able to register with QwikLeaf as a beta user. Once registered, users will be able to login and access the back-end functionality of the QwikCloud. More details on the QwikCloud application will available upon launch. Negotiations for a partnership agreement with a CBD distribution company that reached out to QwikLeaf are still ongoing. The outlook is very promising with anticipation on closing the deal before the end of March 2019. An update of the QwikLeaf company website has been made. Additional updates including investor page and beta program details will be live soon. We have passed the $40,000 mark thanks to the 65+ people who invested in QwikLeaf so far. This week we received our first disbursement of $10,000 from the money invested, we are putting it to work immediately to develop the QwikCollect platform. The majority of funds from the first disbursement are being used to speed up current development on the QwikCloud software application and to start the manufacturing process for the first QwikLocker, QwikCube and QwikKiosk hardware. We are close to having a beta version of the QwikCloud live and still on track for release in mid-March of this year. 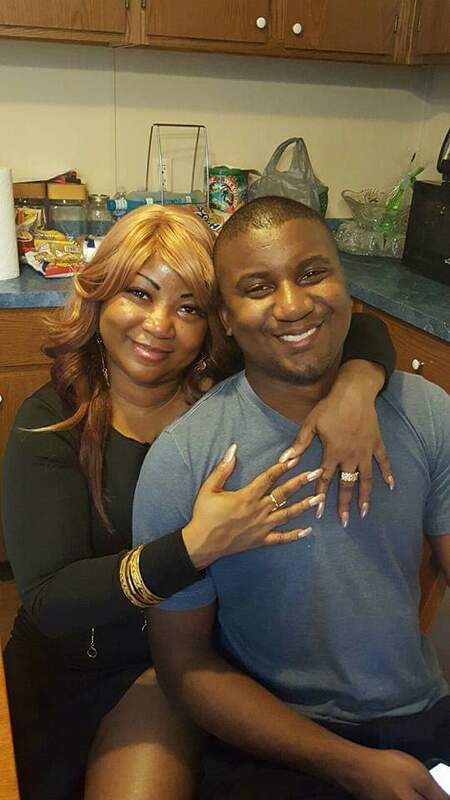 The support means so much! Help us get to the maximum by spreading the word! QwikLeaf has met its minimum funding goal. A disbursement of funds will be made to fund software development of the QwikCloud software, manufacturing of hardware, and marketing of the company. QwikLeaf has started leasing space at TechTown, Detroit. 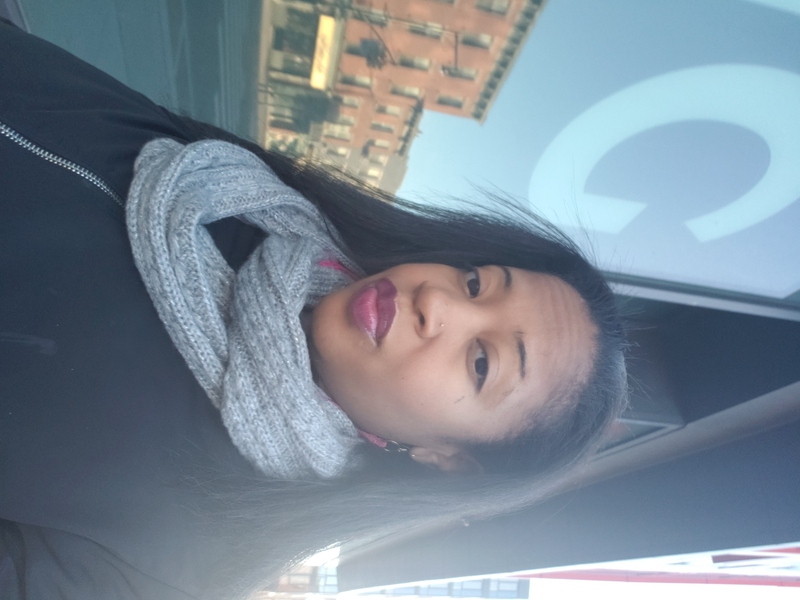 TechTown is a technology business incubator and accelerator that connects start-up businesses to resources, and learning and networking events in Detroit. The new office space will function as the QwikLeaf headquarters and will be utilized as a place to add team members and grow the company. A beta version of the QwikCloud is near completion. The beta version will feature e-commerce functionality in a responsive design. The QwikCloud back-end user interface will look and function similar to enterprise resource planning software commonly used in alternative industries. We plan to make the beta version viewable to the public by mid-March, 2019. On February 15th, 2019, QwikLeaf was contacted by a CBD distributor with an exclusivity agreement offer with one of the United States most popular CBD and cannabis product manufacturers. We intend to finalize the agreement by early March, 2019. A detailed update will be coming soon. I noticed that the options of payment excludes credit. Why is that? For myself this is a way of being able to build credit by buying then paying back the amount right after. Options for payment are decided and controlled by Fundanna based upon securities laws regulations. On 3/6/19, I didn't receive notification of where or to whom to send my check, just that my shares were confirmed. I cancelled & reordered my shares today, hoping another email would come, preferably with the mailing information on it but nothing came. Your investment has been received successfully. I have another set of questions regarding the risks inherent in using Fundanna as crowdfunding platform. How will the following affect my investment with QwikLeaf. How much equity do you suppose you’ll have to give up given that the funding structure of Fundanna requires selling stock and equity in QwikLeaf, i.e. it appears that one of the risks is that QwikLeaf will have to payout a larger percentage the more funding it accepts from Fundanna. The information I’ve found demonstrating Fundanna's capacity to reach its business goals has been a bit scant. Do you believe that Fundanna’s services will provide your product and business model the tools it needs to be successful in an emerging marketing with several other competitors? How confident are you that QwikLeaf will be *the* leading kiosk business for the cannabis industry? How does the nonrefundable listing fee of $3,500 and the success fee QwikLeaf will have to pay once it reaches its funding goal have an impact on the investors who buy shares in your company? Offering equity in QwikLeaf to secure additional funding may happen in the future. A percentage of the money raised via the Fundanna platform will be paid to Fundanna. Fundanna has been a successful funding platform for cannabis companies and has been great exposure for the success of QwikLeaf. The basis for QwikLeaf securing and maintaining market share dominance is the successful launch of our proprietary software platform the QwikCloud. Developing our platform internally will allow QwikLeaf to grow unrestricted from licensing fees, lengthy development schedules, software incompatibility, and replication. With an entity relationship management structure the qwikcloud is designed for adding new features and integrations while maintaining the same usability previous to new additions. Current confidence in QwikLeaf becoming the leading kiosk business for the cannabis industry is the highest since inception of QwikLeaf. To get a better understanding of the platform I recommend you join the QwikLeaf Beta Software Program at https://qwikleaf.com/beta-program/. The fees associated with listing on fundanna will affect QwikLeaf and the amount of funds usable for company growth. Investors share allocations will not be affected by fundanna listing fees. I dont know who to make my check out to. And were do I send my check nothing in this tells that important information. Can I please get the answer to that. After signing up on Fundanna and committing your investment amount you will receive an e-mail with instructions for mailing a check. If any issues arise please reach out. My current goals this year is to become an investor and build wealth by doing so. I have no experience in investing nor do I understand the terminology. Reading the comments below indicates that investors are skeptical about your products. Where I come from investing or saving is unheard of and practically impossible because of systematic oppression on African Americans. Let me just say, I have nothing is to lose by taking a risk. I personally think all investors have to believe in the company and their product before stepping out on faith with their money. The Cannabis industry is growing, I believe this is a great opportunity for me. If you can provide me with insight on what a $ 300 & $1000 return on investment would look like in 10 years? What is the maximums dollar amount you can invest? Can you continue to add to the amount already invested if you start off with $300? How will investors monitor their investment? Lastly, what is the process an investor has to go through should they want to pull out? The goal is to take QwikLeaf public via IPO or mini IPO. The time it takes QwikLeaf to go public will affect long term stock price. Within less than 10 years, QwikLeaf plans to be a publicly traded company growing investor holdings by increasing stock price and sharing profits. A goal of the company is to reward investors from a portion of QwikLeaf’s profits in the form of dividends. Your return of investment 10 years from now will be the value of price per share from QwikLeaf having listed publicly, along with rewarded profit from any dividend structure established. If either of an investor’s annual income or net worth is less than $107,000, then the investor’s investment limit is the greater of: •	$2,200 or •	5 percent of the lesser of the investor’s annual income or net worth. If both annual income and net worth are equal to or more than $107,000, then the investor’s limit is 10 percent of the lesser of their annual income or net worth. o	During the 12-month period, the aggregate amount of securities sold to an investor through all Regulation Crowdfunding offerings may not exceed $107,000, regardless of the investor’s annual income or net worth. Spouses are allowed to calculate their net worth and annual income jointly. You can invest more later (at any time) as long as our offering is still accepting oversubscriptions. Investors can monitor their investment by following the progress made at QwikLeaf. As founder and CEO, I will be updating investors regularly (near weekly updates) on Fundanna as to the progress made at QwikLeaf. Currently in development, is a page on our website for investors to view company progress, press releases, financial reporting, and general updates. We plan to have an investor page live before March 31st, 2019. Investors may cancel an investment commitment until 48 hours prior to investing or until the target minimum amount has been met. If an investor does not cancel an investment commitment before the 48-hour period or prior to the offering minimum being met, the funds will be released to QwikLeaf and the investor will receive securities in exchange for his or her investment. Will you please do the math for the Minimum $300 investment as you have done below for Tom Reynolds. In response to his question, you use the amount of $1000, which isn't what I'll be investing. If you can do the math for the Minimum $300 investment, replete with the 20%/year and $100 per unit of CN, that will be greatly appreciated. Will you please provide, in layman's terms, how you see the type of this security playing itself out in the future. For instance, the security type is a convertible note, which I understand is offered to investors in exchange for stock at a later date. Besides the maturity date, and since convertible notes are technically debt that's legally required to carry interest and debt is required to pay interest, I am interested in understanding your position on following terms for the convertible notes. Do you have any idea what the interest rate may be for this note? I understand that convertible notes regularly carry valuation caps and discount conversions. Which term, conversion discount or valuation cap, might be carried over during the conversion? You won't be able to speculate on how much or how extreme dilution will occur, no? If you can express these answers with an image/math example using $300 that would be greatly appreciated. In what specific ways does the QwikCube and QwikLocker have more favorable economics than delivery? What if, for example, there are technological glitches and malfunctions that make accessing and retrieving the product inaccessible and cumbersome? What about long lines at the kiosks and lockers? What about (human) traffic, during the day and during the evening? What about possible vandalism? How much sidewalk and storefront space do these cubes and lockers take up, and does this impinge on traffic, sales, and customer service? Some folks still prefer face-to-face, human contact. The sight of your products blocking the storefront might persuade to find another venue where they won't see them. What if, at some point, your idea becomes wildly popular. Might retailers have to "rent" other spaces to place the cubes and lockers? How do you see yourself keeping pace with any future changes? Or, how will you secure the future of your product, becoming the one that comes out on top? Thank you so very much for taking the time to answer these questions. Your clear and concise answers will move me to invest in your product. The purchase price for each Convertible Note is $100 with a minimum purchase of $300 for three Units. Each subscription consists of a 20% Convertible Note that matures twenty-four months from the date of issuance, it is convertible at a 15% discount into the public market paying interest thereon from the Closing Date, at the rate of 20% per annum, payable at maturity. Investing $300 now will give you 3 units. Each year the investment will grow with 20% interest, after the first year your holding will be valued at $360, at the end of the second year, it will be valued at $432 (20% interest). At maturity date (24 months after closing), let's assume that the price for a share of common stock will be $10. Because of the 15% discount, your investment will be converted at $8.5 per shares (instead of $10), your $432 note will get converted into 50.82 (50/8.5) shares of common stock valued at $500. In the same scenario, if you would have waited to buy the shares after the two years’ period (staying with the same example of $10 per share at that time) the $300 invested would buy only 30 shares. At a later date, QwikLeaf may issue additional shares for needed capital to grow. Shareholders’ ownership percentages may be reduced but the value of the company will have increased to offset the lower ownership percentage. We have no intentions of confronting investors with a “down round” by offering stock at a later date at a price that is lower than the issue price. The QwikCube and QwikLocker have more favorable economics then delivery due to scheduling logistics, traffic conditions, and the amount of employee effort it takes to complete a traditional delivery sale cycle. When a customer orders cannabis for delivery business owners prepackage the order, then place it in a queue for delivery. The transfer of product from one employee to another employee to the customer leaves a high margin for error and time wasted resulting in reduced profits. Profitability from cannabis retail stores employees doing deliveries is significantly lower than that of employees working as cashiers for in-store sales. For traditional in-store pick-up, customers must enter the store and verify their identity by presenting identification. Customers then typically must wait (depending on current demand) for the opportunity to reach check-out. This waiting experience is similar to what customers experience in a busy retail or grocery store. In many states such as Michigan, licensing regulations restrict cannabis retailers from allowing more than a few customers into the product selection and purchase area at any given time. The QwikCollect platform allows customers to order online and select QwikCollect as an option for pick-up. Customers can schedule a window of time for when they would like to pick-up their order. Through using the QwikCloud application, cannabis store managers easily know when to have employees place orders inside of a QwikLocker or QwikCube. By implementing the QwikCollect platform, online sales require less time from cannabis store employees. The QwikCollect platform removes the check-out step associated with online ordering. Customers can pick-up orders without the assistance of a store employee. 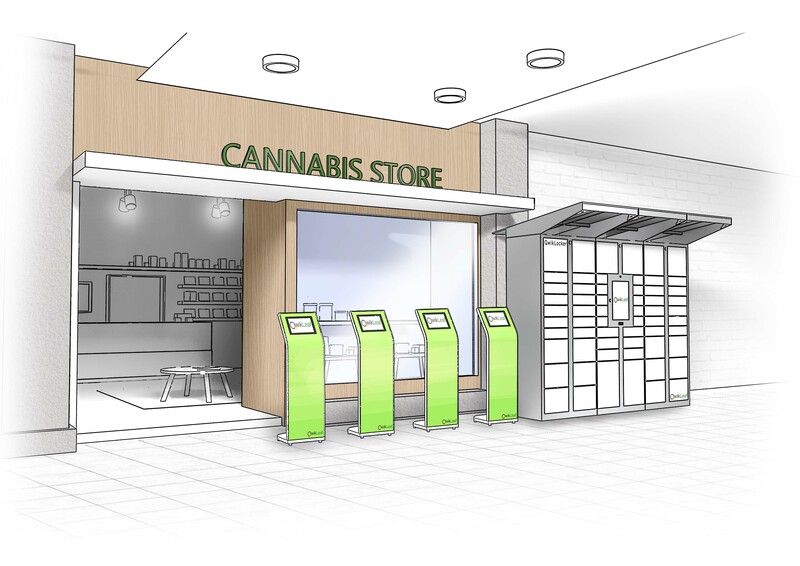 The addition of self-check-out features inside cannabis retail stores allows business owners to reclaim the wasted time from store employees checking-out customers. QwikLeaf will provide technical support along with training to business owners and employees. In the event of technical difficulties related to the QwikCollect platform, an explanation/troubleshooting guide will be available to both customers and business owners. Business owners and employees will also have access to a troubleshooting and help hotline where questions will be resolved by a QwikLeaf employee. In the event of high demand resulting in a line queue of customers, business owners can easily scale by add additional hardware to the platform. We anticipate the majority of check-outs to completed online via cellphone. A major feature of the QwikCollect platform is the fast speed in which an order can be picked up from a QwikLocker or QwikCube at the cannabis store. By skipping the product gathering and check-out steps, picking up an order from a QwikLocker or QwikCube is much faster and efficient than traditional check-out. The QwikLocker is made of high-grade steel making forced entry difficult. To counter vandalism and theft, the QwikLocker will be secured to the foundation and walled structure of the cannabis store. Attaching the QwikLocker physically to stores allows for overlapping with existing security features at the cannabis business. Cannabis store owners can easily utilize already required video surveillance and security alarms. Future partnerships and software development phases will allow QwikLeaf opportunities to implement unique internal security features into the QwikCollect platform. Storefront space required for a QwikLocker or QwikCube is similar to that of two standard sized soda pop vending machines placed side by side. The dimensions of the QwikLocker will be customizable in the future. 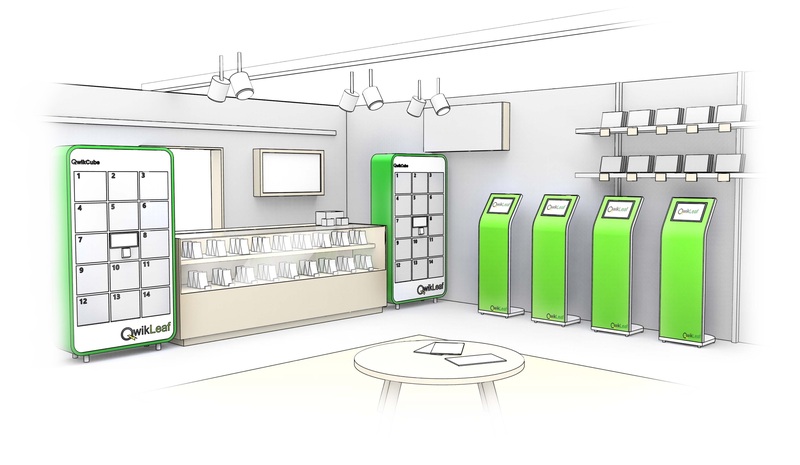 Although QwikCollect only stores are anticipated, adding the QwikCollect platform to an existing cannabis retail store will still allow for customers to check-out as they had done so before QwikCollect implementation. QwikLeaf is developing our technology for retailers to implement autonomy in stores. The QwikCollect platform becoming popular will lead retailers looking to maximize benefits from the platform to create separate or conjoining areas for click-and-collect only check-out. We anticipate many retailers will implement our platform into future store designs, many of which may be QwikCollect only locations. The focus of product development at QwikLeaf is to innovate instead of adapt. Our drive is centered on producing scalable products that are revolutionary to the industry. Understanding the scalability of the individual components comprising QwikLeaf will allow us to strategize for market share dominance. Reaching the early majority of customers using the internet to purchase cannabis for pick-up will instill a lasting method of simplicity. Lowering cannabis retailers overhead while adding revenue will incentivize growth. Part of our strategy for long term success also revolves around our ability to rapidly change and to focus on returns on talent rather than returns on capital alone. This perspective for building the company and team will lead to long term value and success. Why do you only show mock-ups of your products? Do you actually have all products developed and ready for deployment? Do you currently have partnerships with all companies listed in the Business Model section? We have proprietary manufacturing designs of our hardware products. A portion of funds will be used to manufacture the QwikCollect platform hardware for quality analysis and user acceptance testing. We do not have partnerships with all of the companies listed in the Business Model section. The companies shown are cannabis technology leaders and potential partners that we are actively building business relationships with. Our minimum viable product is our click-and-collect platform (QwikCollect) consisting of three hardware products (QwikCube, QwikLocker, and QwikKisok) being powered by software (QwikCloud). At a minimum the platform allows cannabis users to order products online and schedule picking them up in-store from a dedicated locker or cube. Customers access orders by scanning a confirmation code. Orders are managed from the QwikCloud while additional software configurations can be integrated as needed. Releasing full details of our MVP may hurt QwikLeaf more than help as we have not established barriers to imitation. Information on partnerships, software / hardware development, and additional features will be communicated as they take place. How do you reach $5 Mil Valuation when you don't even have Prototype or IP or any other revenue generating method? Also, the minimum amount is too high i.e. $300 to invest. I might have invested if it would have been $100. Overall, i agree on everything you are targeting and pitch is very good but i am just not ready to invest $300 at $5 Mil. Valuation with no strong point! Our valuation was performed independently based upon company provided information combined with market-industry data. The valuation is based on 5 different valuation models, 2 based on qualitative assessment (named Scorecard and Check-List) and 3 based financial projections (namely: VC method, Discounted Cash Flows with Multiples, and Discounted Cash Flows with Long-Term Growth). QwikLeaf’s intellectual property consists of software and hardware plans including data flow diagrams, wiring schematics, CAD drawings, and designs for manufacturing. Relevant patents, copyrights, trade secrets and trademarks will be initiated with a portion of the funds. Revenue generation will come from multiple streams. The most profitable being revenue generated from software fees that are calculated based upon the number of products sold via the QwikCollect platform. QwikLeaf has secured an agreement with a legal cannabis dispensary located in Detroit, Michigan to deploy the QwikCollect platform. Revenue will be generated from monthly subscription fees along with a percentage of sales from the platform. With interest growing fast and no industry competition, we have plans to gain entry into cannabis stores across the United States at a fast pace. I have submitted my information and received via email my investment commitment. Once I logged into fundanna it informs me that my investment is still pending/waiting for payment. I am not sure where I need to go to submit my payment information. Going through the process, I do not remember being prompted to submit my banking information. If you can please direct me in resolving this matter, it would be greatly appreciated. Hi - could you explain in layman's terms the security type were buying? I understand a convertible note (converts to equity at a later date). is 20% per annum a preferred return ? We have received your investment successfully. For example, investing $1,000 now will give you 10 units. Each year the investment will grow 20%, that is after the first year your holding will be valued at $1,200, then, at the end of the second year it will be valued at $1,440 (that was the 20% interest). Now at the maturity date (24 months after closing), let's assume that the price for a share of common stock will be $10. Because the 15% discount, your investment will be converted at $8.5 per shares (instead of $10), that is your $1,440 note will get converted into 169.411 (1,440/8.5) shares of common stock. In the same scenario, if you would have waited to buy the shares after the two years’ period (staying with the same example of $10 per share at that time) the $1,000 invested would buy only 100 shares. The current market does not allow the use of credit cards or other bank instruments to purchase cannabis. How is a customer going to pay via online? The methods of exchange for cannabis products is cash. How or what methods are these machines going to be able to accept without violating U.S.federal banking laws? We are working with third-party payment processing companies to successfully implement our platform. Processing debit and credit transactions is still very new for the cannabis industry. Solutions do currently exist for cashless payments on cannabis sales. Many cannabis businesses are already accepting cashless payments. Recently, a cashless payment processor for cannabis businesses was accepted into the Apple and Android app store. Greenbox Robotics is a good example of a cannabis technology company successfully accepting cashless payments. Additionally, under the Farm Bill, Hemp / CBD products can be sold using traditional credit and debit card payment. We feel confident as cannabis legalization continues, more and more options will become available for cashless payments.